Betfair, the online betting exchange, is reviewing its advertising account. The company is holding chemistry meetings with agencies competing for the business. The incumbent, Albion, is not pitching for the account, which involves a football-related brief. Albion was appointed to Betfair's advertising business without a formal pitch in February 2007 and created the betting company's most recent campaign. Matt Booth, the head of UK marketing at Betfair, said that it will continue to work with Albion on a project basis. He added: "We have mutually agreed to look at some other creative options working on a specific brief for the start of the football season." 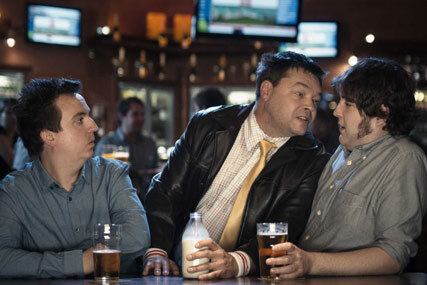 Betfair's recent TV and online activity, called "middleman", encouraged gamblers to "cut out the middleman" and bet directly with other punters on Betfair, dramatising how a traditional bookmaker gets in the way. The ads were aired across sporting programmes and channels such as Sky Sports, ESPN, Champions League football on ITV and Channel 4 Racing. Betfair also became one of the first betting brands to invest in a homepage takeover on YouTube at the time of the campaign launch. Before that, Betfair launched a campaign, also by Albion, in which five real football fans were filmed in a room.